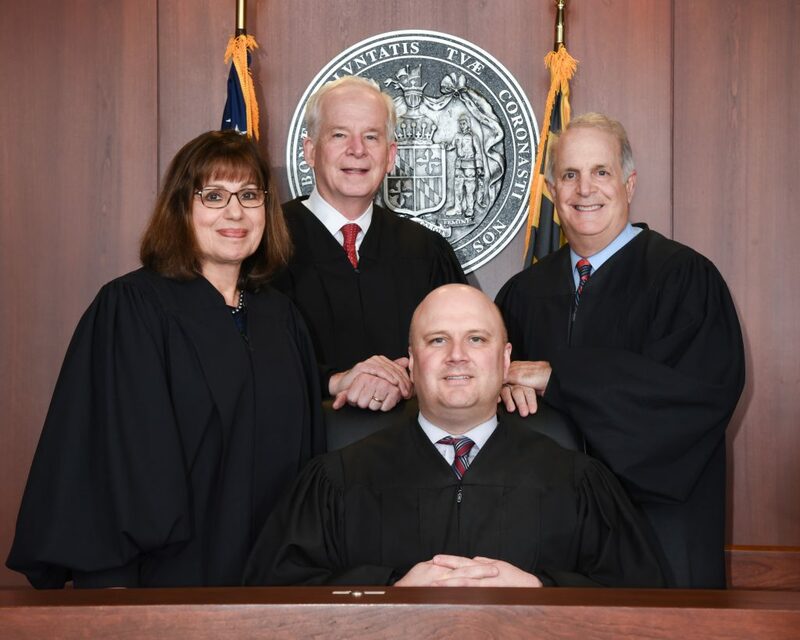 THE MARYLAND JUDICIAL APPOINTMENT PROCESS: WHY ARE THESE JUDGES RUNNING? People often wonder why these judges are running for an election. The Maryland Constitution requires Circuit Court Judges to stand for election after being appointed. The Governor of Maryland undertakes a comprehensive vetting process to appoint a judge when a vacancy occurs on the Circuit Court. Pursuant to a Gubernatorial Executive Order, the Baltimore County Judicial Nominating Commission vets and nominates lawyers to fill vacancies on the Circuit Court. Lawyers who are nominated by the commission meet exceptional standards of legal aptitude and must be the “most distinguished for integrity, wisdom and sound legal knowledge” as dictated by the Maryland Constitution. The Maryland Constitution requires that Circuit Court Judges, once appointed or reappointed, must run in the next election to be retained. Judges are Prohibited under the the Maryland Code of Judicial Conduct from taking a position on matters that are likely to come before them as a judge (Canon 5(B)(1)(d)). Click here for the Maryland Code of Judicial Conduct, found in the Maryland Rules of Civil Procedure, Rule 16-813.